The presence of more than 80 teachers from all over Australia at CDU to learn about Accelerated Literacy (AL) was boosted by an endorsement for the program by Deputy Prime Minister Julia Gillard on national radio. The teaching method, which is used to enable students who have very low literacy to quickly “catch up”, is being implemented by the NT Department of Employment Education and Training and supported by CDU. It has consistently showed promising results for both Indigenous and non-Indigenous students in remote and regional communities. Teachers hailed the five-day intensive workshop at the end of January, which was held for the first time, as a great success. By applying the Accelerated Literacy methodology in their classrooms, teachers are able to teach students not just how to read and write, but also how to think about literature and understand its meaning and purpose. Principal Christine Bell, from Mimili Primary School in remote north-west South Australia, attended the workshop with eight graduate teachers from her district. “Slowly our kids are closing the gap. In the state-wide numeracy and literacy tests, we’ve had five reach the benchmark in different areas. We’ve never had that before,” she said. She stressed this was being achieved because Accelerated Literacy was being implemented throughout the whole district. She said children who moved between communities and schools were no longer as disadvantaged as they once were. Paul Riches, from north-east Arnhem Land, and one of the 49 Territory teachers in attendance, was pleased to receive formal training in the methodology. 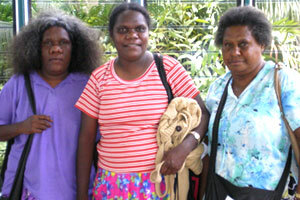 “I’ve worked in the NT for a long time, so I’m excited the program is being introduced in NT schools. As teachers improve their Accelerated Literacy teaching, students’ literacy will also improve,” he said. Wendy Cowey, co-developer of the Accelerated Literacy methodology, said the level of interest in the workshop had exceeded expectations. “We thought if we could train 50 teachers, that would be great, but we had more than 80 teachers attending, which will mean that thousands of students will reap the benefits of this training,” she said. Student progress in Accelerated Literacy classrooms in 2006 was on average 1.74 reading levels per year, where one reading level per year is considered normal. With up to 10,000 students participating in the program by the end of the year, it is hoped significant student progress can be sustained. The intensive workshop will be repeated again in April for teachers interested in learning about Accelerated Literacy. 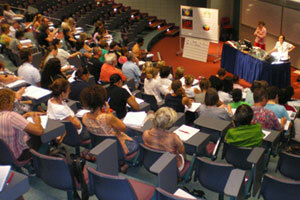 For more information about the program or future professional development opportunities, go to www.nalp.edu.au.